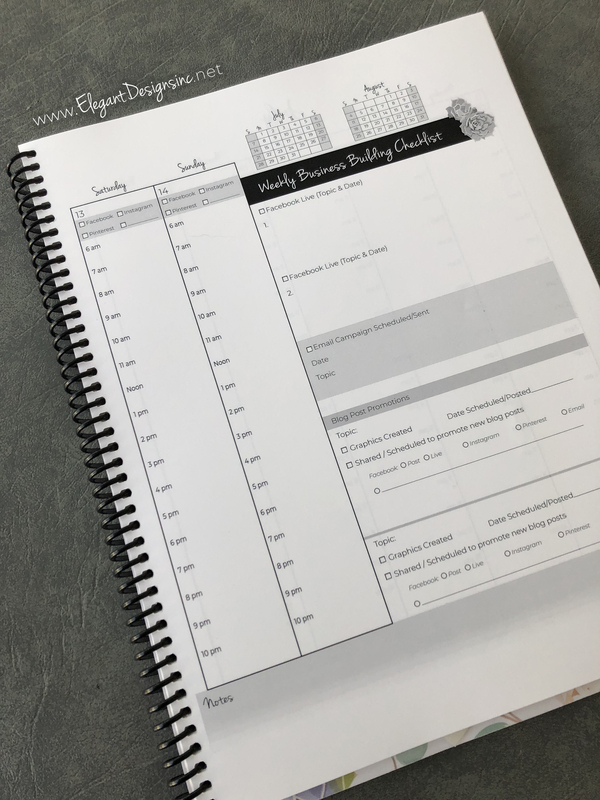 • 8.5X11″ Planner for Online Entrepreneurs. 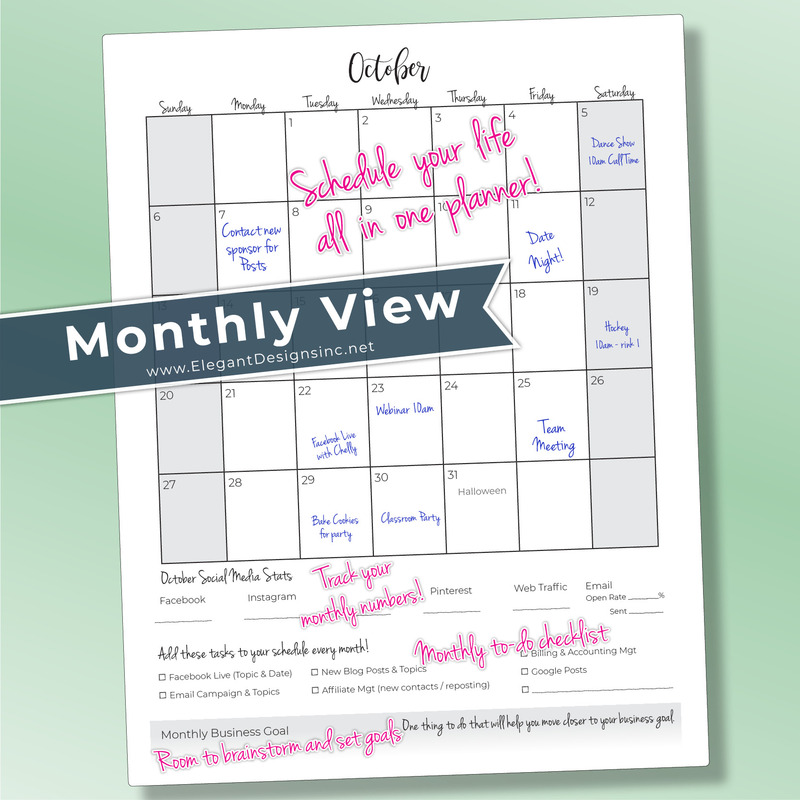 • Each month includes one monthly view with checklists to help you promote your business. 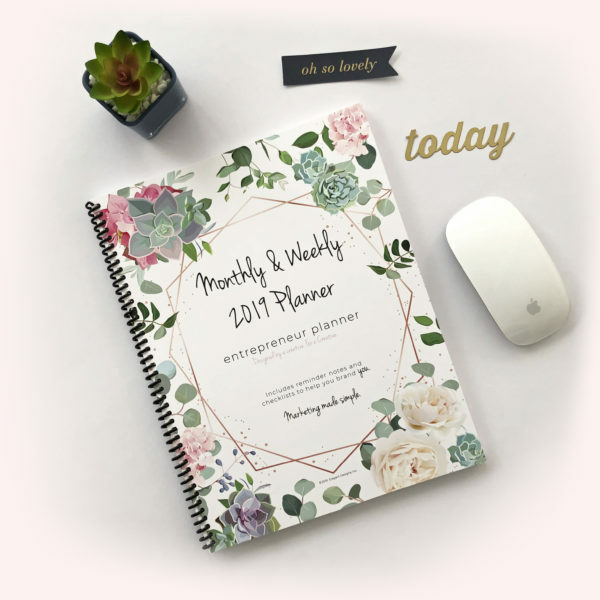 • Plus, each week is a 2-page spread with checklists & reminders for business growth and social media posting. 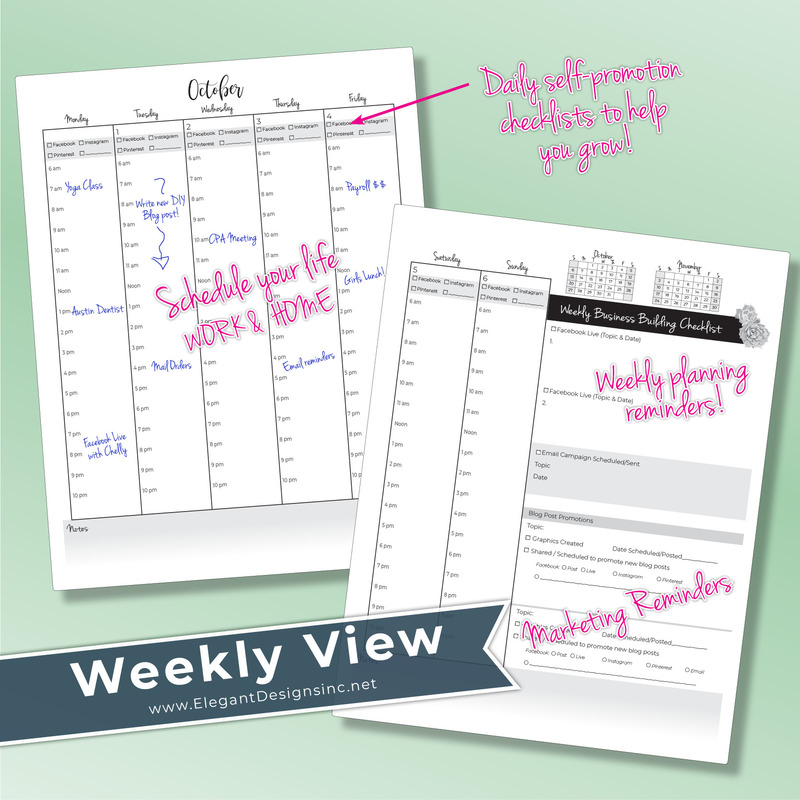 • The reminders/checklists included are for posting, promoting and planning YOUR business. 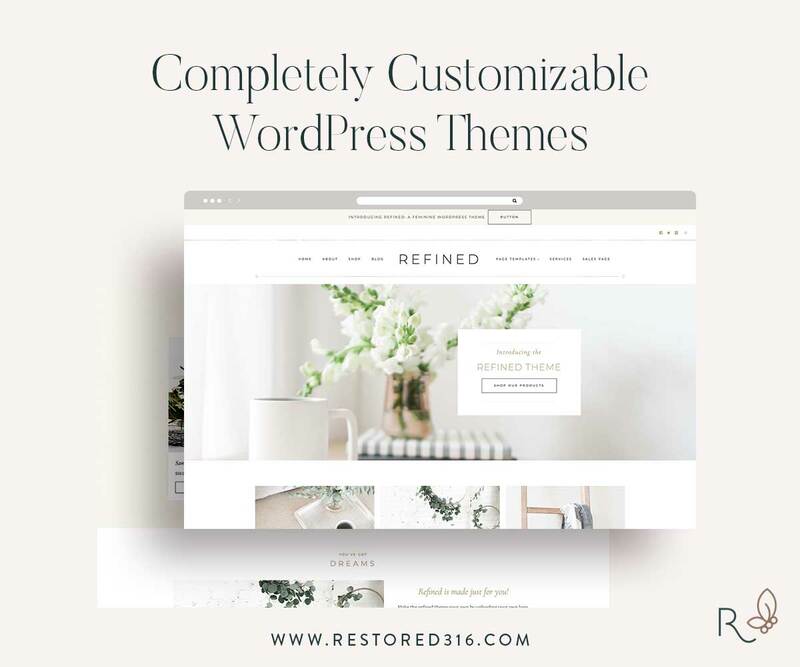 Want to see more details? 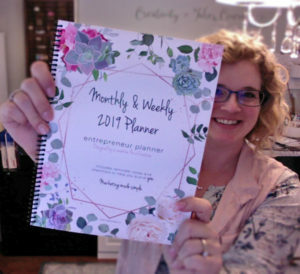 Check out the live on my Facebook page where I walk you through the inside pages and how you use them to grow! Stay on track in the new year! It’s easier than you think with this planner designed with you in mind. 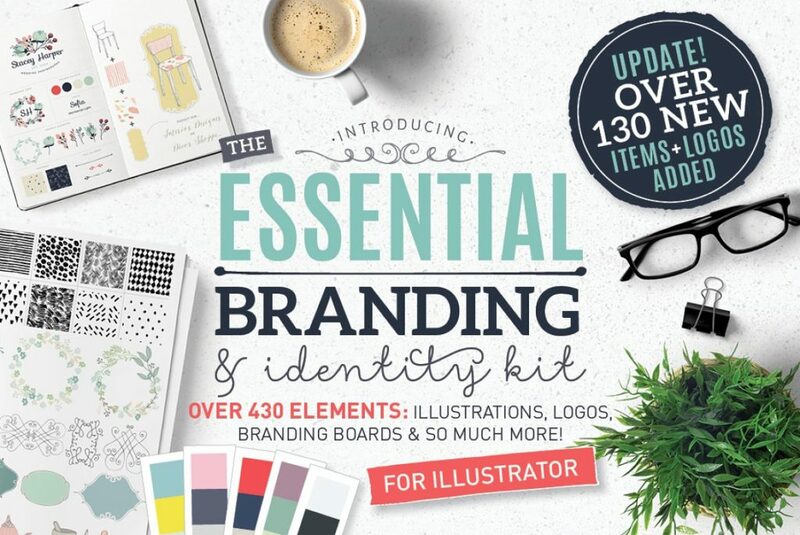 Developed and used by a creative online entrepreneur, like yourself! 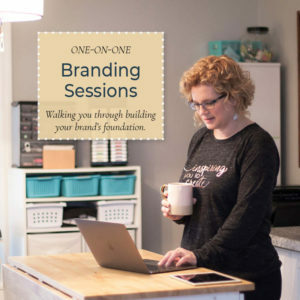 Do you feel so overwhelmed with all the “must-dos” to market your business that you simply do nothing?? 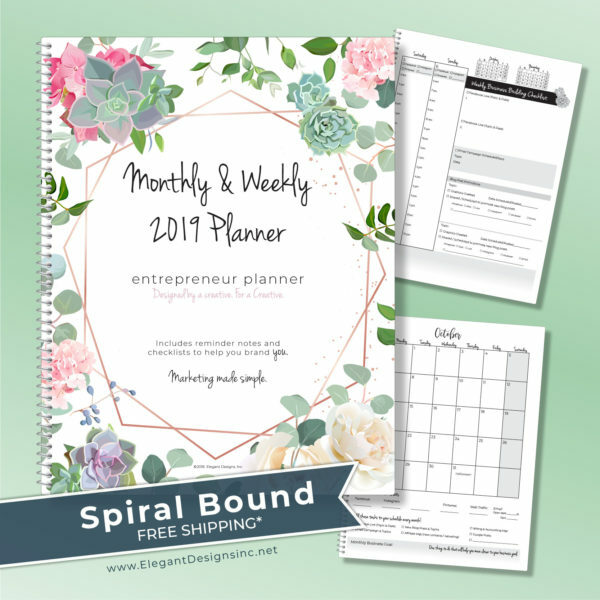 You need my 2019 spiral planner for entrepreneurs and creatives! 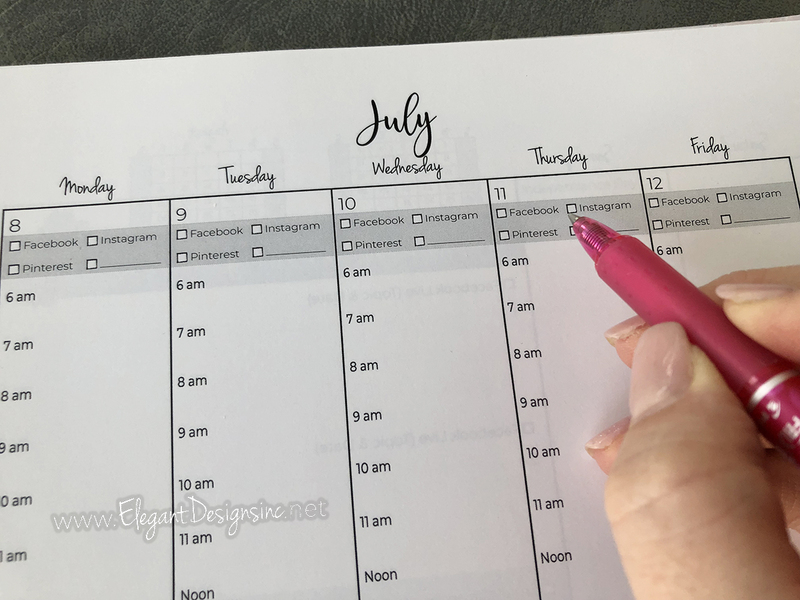 My new 2019 Planner for Creatives – designed for self-employed business owners – will walk you through the must-dos EACH DAY to help you grow a business! Not a business owner but you’re the social media manager for someone? This is also perfect for you too! Click here to purchase the download version to be printed yourself.